A further three Wildcards have been added to the Tattersalls December Sale with two Group/Listed winning fillies and a yearling by INVINCIBLE SPIRIT joining the previously announced Group 2 Queen Mary winner SIGNORA CABELLO. Peter Schiergen’s Asterblüte Stables are set to offer the Group 3 winning filly BINTI AL NAR at the Tattersalls December Mares Sale, catalogued as Lot 1908B. By German-based sire AREION, the three-year-old filly has been a consistent performer in Group race company, winning the Group 3 Premio Elena e Sergio Cumani in Milan and placing second in the Group 3 Premio Dormello at the same racecourse and in the Group 3 Holstein Cup in Hamburg. Timeform rated 107, BINTI AL NAR is a half-sister to three winners from the family of Group 3 Prix de Saint-Georges winner BEST WALKING and is due to be sold on the evening of Tuesday, December 4. Also selling on Tuesday evening will be the Listed Premio Nogara winner INTELLO KISS, catalogued as Lot 1908C. Consigned by Old Buckenham Stud, the three-year-old daughter of INTELLO is from the family of Group 1 Oaks winner LOVE DIVINE and Group 1 St Leger winner SIXTIES ICON and has a Timeform rating of 100. Another Wildcard to be added to the Tattersalls December Sale is Lot 144A the INVINCIBLE SPIRIT yearling colt out of the Listed winning MEDICEAN mare GLORY POWER. Baroda and Colbinstown Studs are to offer the colt who is an own brother to three-time winner JACK TAYLOR and from the family of dual Group 1 winner CONTRIBUTER. 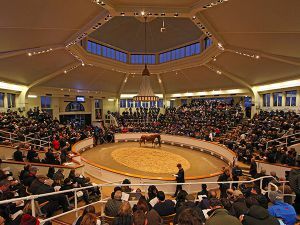 The Tattersalls December Yearling Sale takes place on Monday, November 26 which is followed by the Tattersalls December Foal Sale from November 28 until December 1. 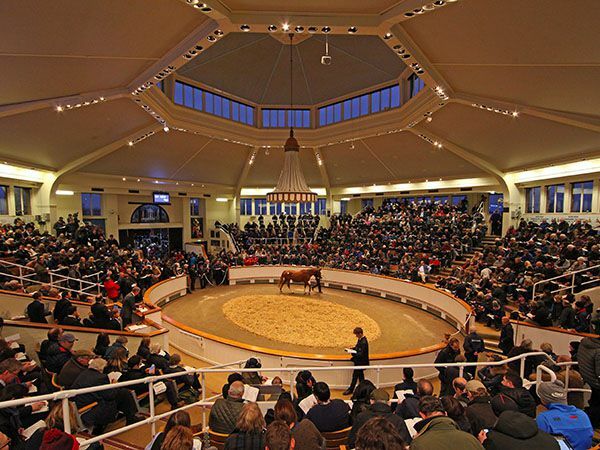 The Tattersalls December Mares Sale takes place from December 3–6. Catalogues are online now at www.tattersalls.com and available from Tattersalls and Tattersalls Representatives.